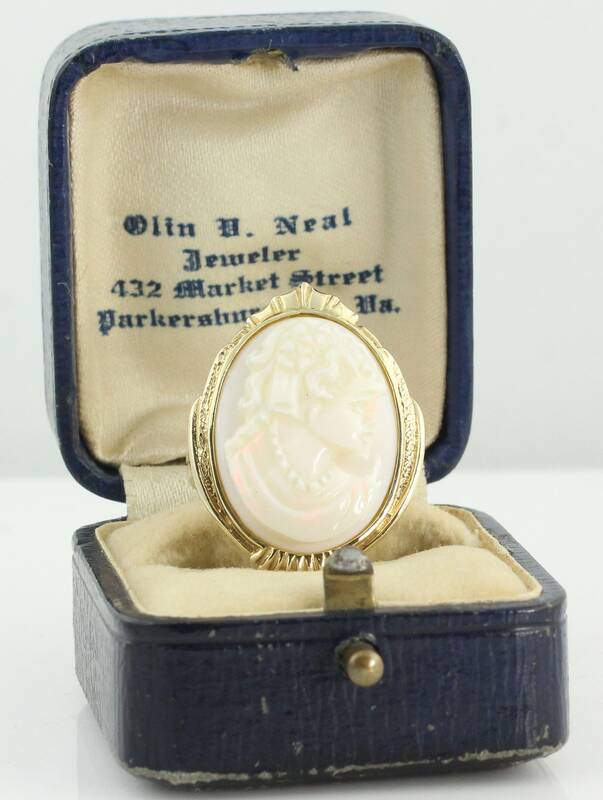 14K Hand Carved Lady Opal Cameo Ring Victorian Revival circa 1980. 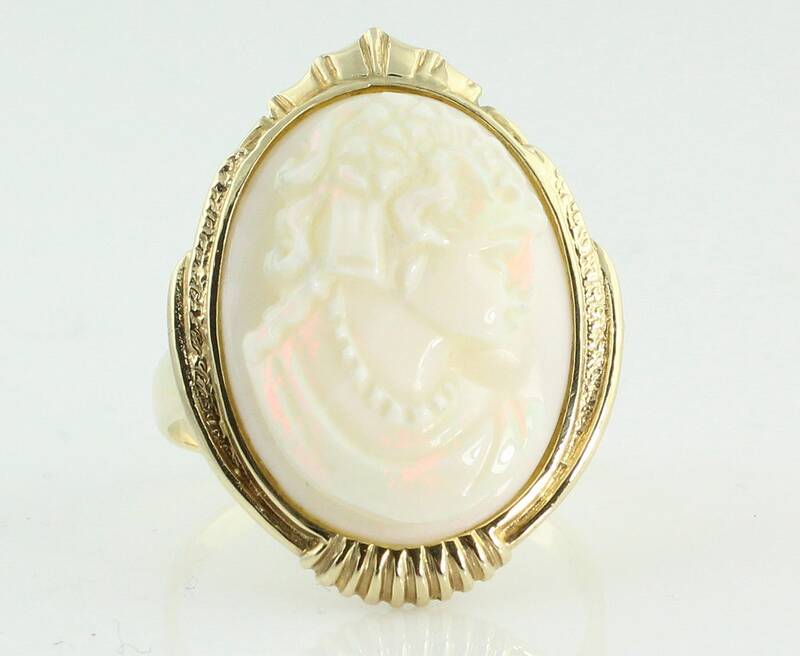 A beautifully detailed cameo hand carved of natural opal shows a lovely woman with a strand of beads. 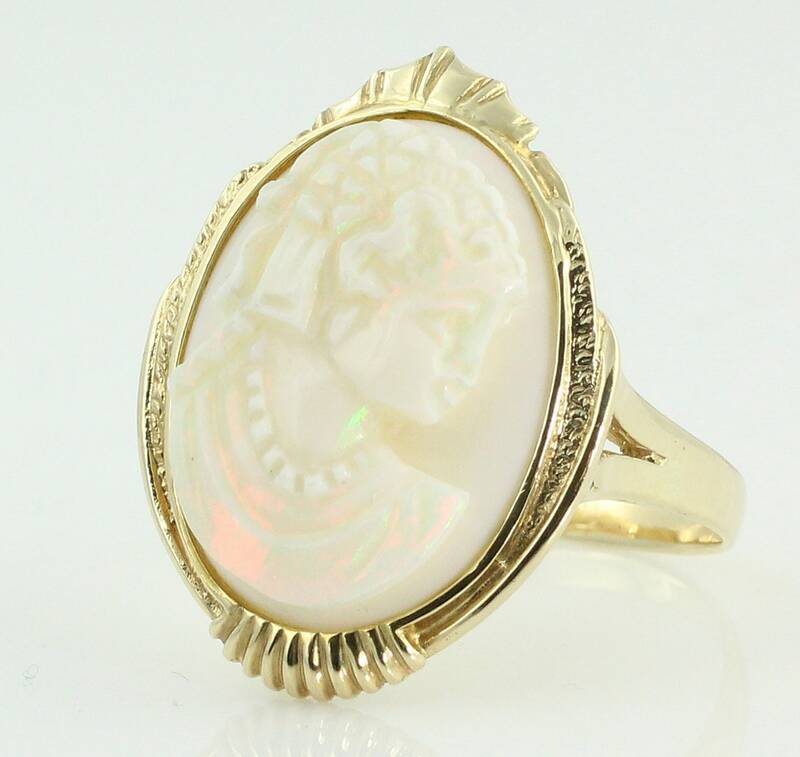 The opal has a beautiful play of color with flashes of green and orange. 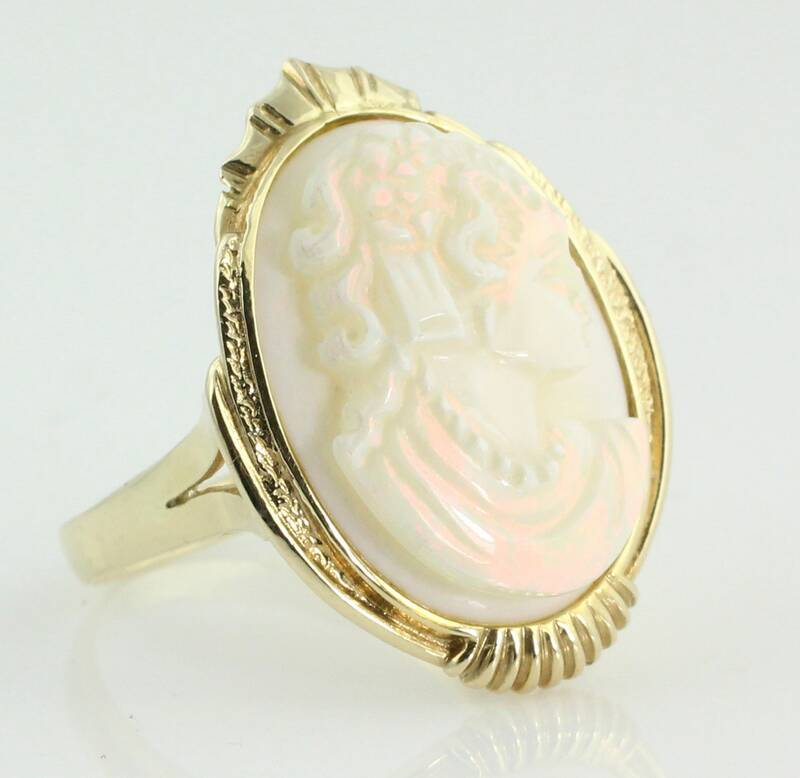 Condition: In very good vintage condition, with light surface wear. 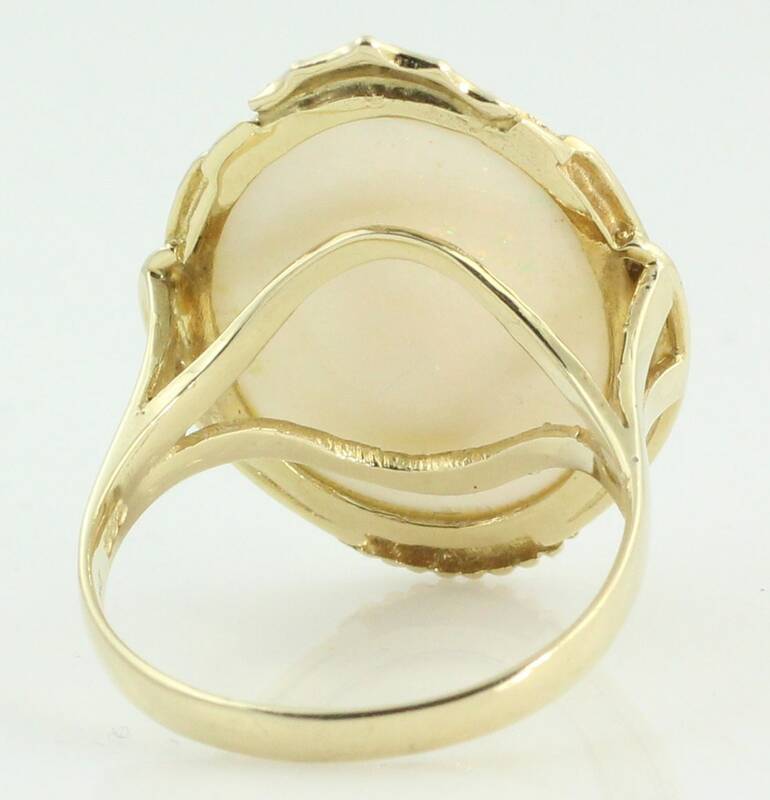 Ring was previously owned and worn. Arrives gift boxed! 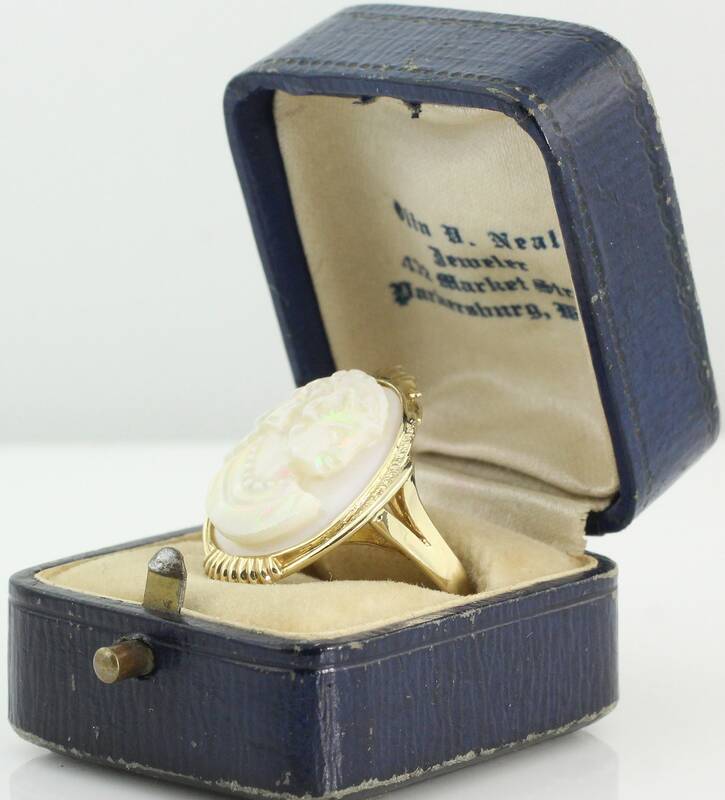 Please note: the antique box will not ship with the ring.